This looks like it will be useful for the users that have problems with these files, good on you. Do they use slightly different formats or something? An excellent tutorial. Finally've been able to edit that pesky warp cannon. This is a great and useful tutorial. Thank you very much. Even though, as far as I can remember, there were some NSBTX files which couldn't be opened, such as I_mizu.nsbtx (the water tile). What do you do in those cases? As far as I can remember, there were some NSBTX files which couldn't be opened. You do the same in reverse. 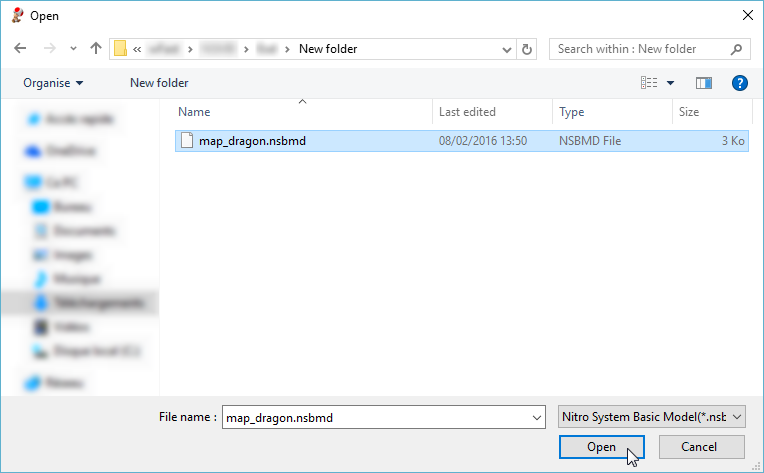 Merge the NSBTX with some random (preferably textureless) NSBMD, split it back and grab your new NSBTX. I tried with I_mizu.nsbtx, and it worked flawlessly. This method is essentialy about reencoding the file you want using some program so you don't have to hex edit it manually to find out what prevents the editor from opening it. Dear Person: I did everything the tutorial said, but when I clicked substitute, it popped: the file is already open (the same thing as trying to open it). Can someone help me? (I didn't know to post it in here because it's old, but here it is anyways). by substitute, you mean export/replace? you can import/export the file without the error popping up so long as you haven't tried to open it. once you do try, everything you do with it gives the error. 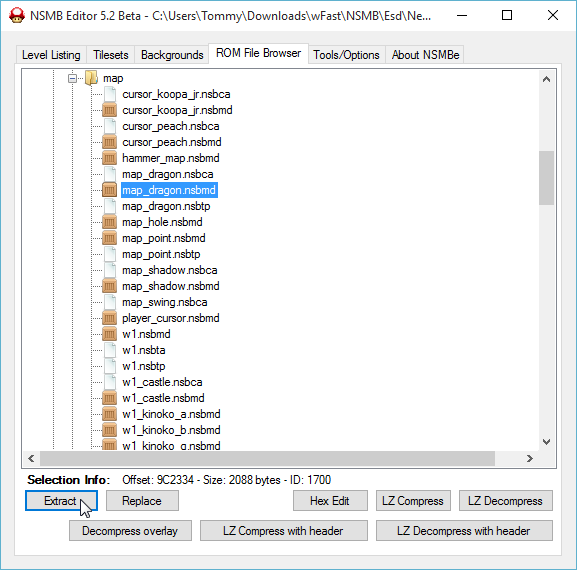 restart NSMBe to reset cache and try doing the tutorial without opening the file.